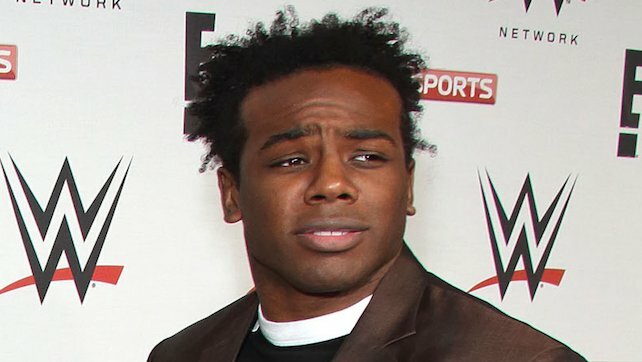 According to PWInsider.com, Xavier Woods is undergoing a medical evaluation backstage tonight at the Smackdown tapings, for an injury he might have sustained at last night’s WWE Smackdown live event in Texarkana. As noted, The New Day is scheduled to be in-action on Smackdown Live tonight, and it’s possible the bout will feature Big E and Kofi Kingston if Woods is not cleared to compete. Los Angeles – August 29, 2017 – WrestleCade Weekend, one of the largest annual independent wrestling weekends anywhere in the world, has added the WOW-Women Of Wrestling (WOW) to its all-star lineup of stars for their Nov. 24-26, 2017 weekend spectacular in Winston-Salem, North Carolina. The appearance will be the first major live event on the East Coast for WOW and its Superheroes . WOW will be represented at the convention by Georgia wrestling legend Selina Majors, better known as Bambi; former WOW World Champions Jungle Grrrl and the Fabulous Lana Star; ring veteran Amber O’Neal; WOW tag team The Dagger and The Temptress (aka The Vengeful Vixens); and WOW rising stars Stephy Slays, Samantha Smart and The Beast. In addition, WOW founder David McLane, the pioneer of modern women’s wrestling, will make his first appearance at any kind of wrestling convention. McLane conceived “GLOW-Gorgeous Ladies Of Wrestling,” the television show that pulled women’s wrestling out of the sleazy, mud wrestling stigma and in the process created one of the biggest syndicated TV hits of the 1980s. He is now the business partner of L.A. Lakers’ Owner and President Jeanie Buss, and together they are bringing entertaining, inspiring women’s wrestling to a new generation. There are many signs pointing to the recent popularity of women’s wrestling including the renewal of the hit Netflix series “GLOW” and Buss and McLane’s new partnership with Mark Burnett, MGM ’s President of Television Group & Digital, to develop new content for WOW. First staged in 2012, WrestleCade quickly established itself as one of the largest independent wrestling events anywhere in the world. It brings wrestling stars together with their fans, with epic matches and fan-friendly meet-and-greets. It has established itself as a Thanksgiving weekend tradition for wrestling fans around the globe. Now in its sixth year, WrestleCade Weekend brings wrestling fans from as far away as Austria and Norway to Winston-Salem, NC to see their favorite wrestling stars from yesterday, today and tomorrow. WrestleCade Weekend includes wrestling stars from all the top organizations, including the WWE/WWF, NWA/JCP, GFW, Ring of Honor, Lucha Underground and others under one roof. Attendees can meet their favorite wrestling stars, see some of the best wrestling action anywhere, hear stories and ask questions during live podcasts and Q&A sessions and meet fellow wrestling fans from around the world over the course of the 3-day weekend. The 2017 version represents the 6th annual version of this storied event and attendance is expected to exceed 7,000 fans for the weekend spectacular. WOW is the premier organization and content provider for live events and programming featuring women’s professional wrestling. Its empowered women from all different backgrounds and professions that are marketed as “WOW Superheroes” and are the main attraction of every WOW presentation. WOW’s digital ecosystem consists of its owned web, Facebook, Twitter, Instagram and YouTube channel. Together these systems comprise the ‘WOW World’ customer platforms. To join the WOW World and further information on the WOW Superheroes, its villains and over-the-top characters visit www.wowe.com (http://wowe.com/) and @wowsuperheroes.